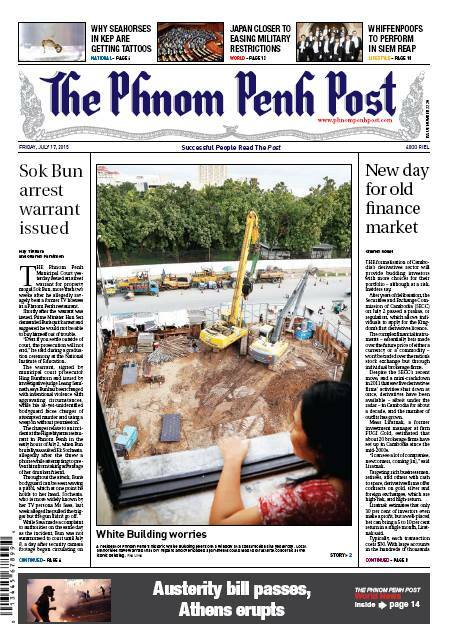 Australian businessman Chris Dawe was ousted as CEO of the Phnom Penh Post newspaper this week by majority shareholder Bill Clough. In a memo to all staff on Monday 23 November, Clough said he was assuming the role of CEO, replacing Chris Dawe. He added that he would continue in this role until such time as a replacement is appointed. Clough, based in Perth, said he would return to Cambodia next week and that in the interim, the chief financial officer Alex Odom will be in charge on a day-to-day basis. Odom is an associate of Andaman Capital Partners, whose managing director Kevin Murphy is a shareholder in the company that owns Phnom Penh Post. Odom arrived at the Post almost a year ago to check the books, trim costs and to stop the paper losing money. Dawe, a former Liberal Party political candidate, had been CEO of the Phnom Penh Post since 2012. In late 1991 he helped start up the Vietnam Investment Review with fellow Australian Ross Dunkley, who later became the founder and publisher of the Myanmar Times in 2000, and publisher of the Phnom Penh Post since its acquisition in late 2007. 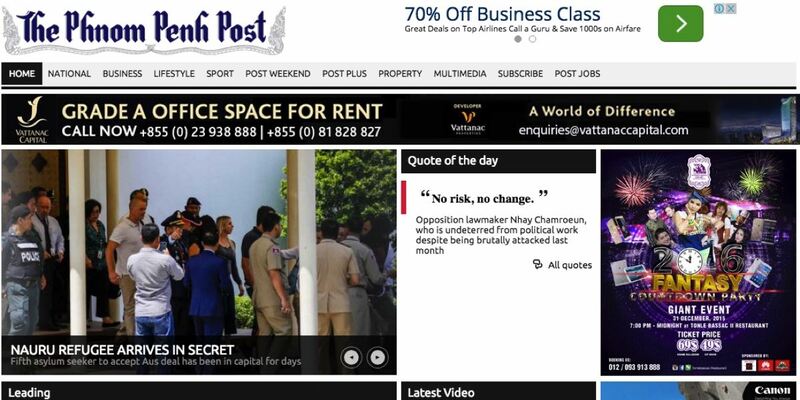 Dunkley was deposed as Phnom Penh Post publisher in late 2013. This follows a week of intense speculation following a Bloomberg report that Alibaba Group’s founder Jack Ma is in talks to buy a stake in the publisher of Hong Kong’s South China Morning Post. One source told Bloomberg that discussions are at an advanced stage, and another said a signing ceremony will be announced soon. SCMP Group Ltd., which has posted three years of profit declines, has been suspended from trading since February 2013 after the company failed to have at least 25% of shares held by minority investors, the minimum proportion required for a company to trade its shares in Hong Kong. Hong Kong’s High Court last Friday ordered former Asia Television Ltd (ATV) executive director James Shing Pan-yu to compensate former TV exec Ricky Wong Wai-kay HK$1.3 million (A$232,000) plus legal fees for defamation damages. The defamation dates back to 2012, when Wong was applying for a free-to-air licence for Hong Kong Television Network Ltd (HKTV). At the time, Shing accused Wong of stealing confidential documents from ATV during Wong’s 12-day term as CEO in 2008. Shing twice gave televised remarks alleging Wong’s theft of ATV’s commercial secrets via five secretaries, adding the confidential information was in turn used in a bid for a free-to-air television license by Wong’s Hong Kong Television Network. Shing has declared himself unable to pay, although he does not have to pay his own defence costs. The New Media Forecasts report published by ZenithOptimedia on Monday reveals that of the 47 world markets surveyed, Singapore has the highest level of smartphone penetration – 89% at the end of 2014, predicted to leap to 97% by 2018. Hong Kong tops the ranking of highest-penetration markets for tablets, with 77% penetration in 2015, which is forecast to increase to 91% in 2018. Singapore comes second in the world for tablet penetration, with 64% penetration in 2014 and 82% expected in 2018. The top market for internet penetration is South Korea, where access is universal and has been since 2011. Nova Scotia’s DHX Media has signed two non-exclusive content distribution deals with SVOD operators in China. Teletubbies was the first Western preschool property to air in China, on CCTV reaching an audience of 300 million children and the first to open its very own Skills Development Centre in 2006. It also has an impressive roster of licensees in the territory including Phoenix and Hangzhou Z-Shine. Two major Thai satellite and cable TV network operators will file a lawsuit against the broadcasting regulator NBTC because they oppose the enforcement of the same channel numbering for the first 36 channels starting on 2 December for all TV platforms. The plaintiffs are TrueVisions, Thailand’s largest pay-TV operator, and the Satellite TV Network Providers Club led by PSI Holdings. The NBTC ruled all TV network operators must rearrange the first 36 channels to have the same numbering system to reduce public confusion. But TV network operators say the numbering system will cause customer confusion. 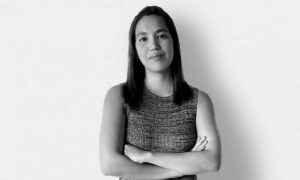 London and Singapore-based Make Productions has been commissioned to co-produce a one-hour TV special for Channel News Asia, Singapore and Channel 4 UK. The special will be about the murder of British tourists Hannah Witheridge and David Miller on the Thai island of Koh Tao in September 2014. 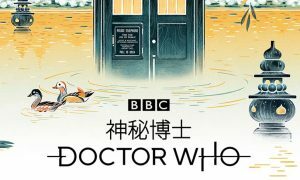 It will be directed by Tom Stone and executive produced by Tom Porter (Channel 4), Mok Choy Lin (Channel News Asia), and Sarah Macdonald (Make Productions), and is slated for broadcast early 2016. 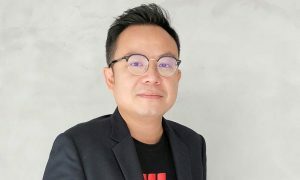 • Thai public broadcaster MCOT has appointed General Chatchalerm Chalermsukh as an independent director to replace Tevin Vongvanich, who resigned prior to the completion of his tenure. • The rooftop advertising site of Hong Kong’s famous Star House has been sold at a record-breaking price of HK$219 million (A$38.9 million). The site is leased to to Prudential for an annual rent of HK$17.5 million. Back in 2000, it was already generating an annual rental return of HK$12 million. • The International New York Times will cease printing and distributing its print edition in Thailand at the end of the year because of the rising cost of operating in the Southeast Asian country. The news comes a week after INYT announced that the South China Morning Post Group will print editions for Hong Kong and mainland China. The INYT print edition will still be available in six other Southeast Asian nations. • Japan’s rebranded Star Channel has signed a new exclusive deal with HBO, including the new season ofGame of Thrones.